Here's the announcement for my current show which opened on Friday night the 9th of April. We had an excellent turnout and had to send out for more wine. The show will run through May 7th and showcases 6 new paintings, two recent paintings and one from the permanent collection at home. 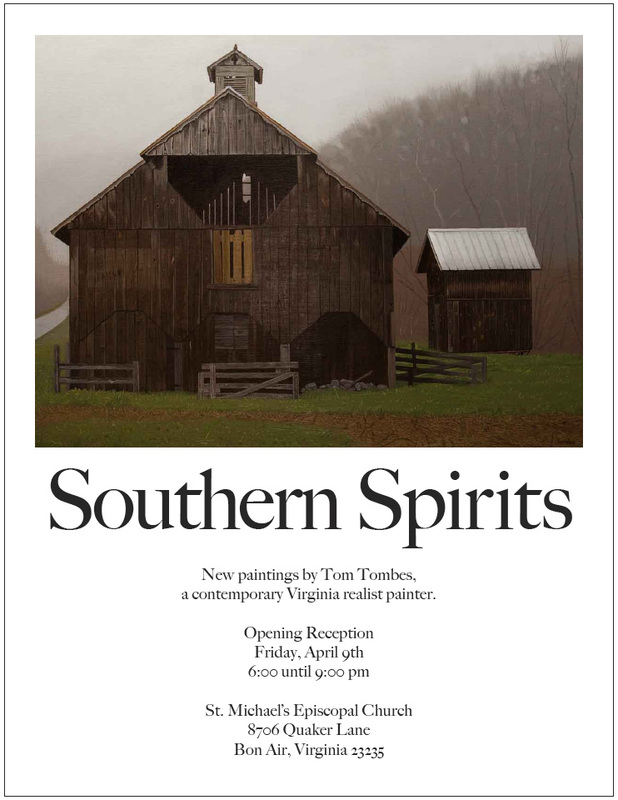 St. Michael's church has an ongoing artist exhibition schedule and invited me to show for the month of April. The church is at 8706 Quaker Lane in Bon Air, Virginia.